Screenprint (serigraph) in an edition of 22 impressions. 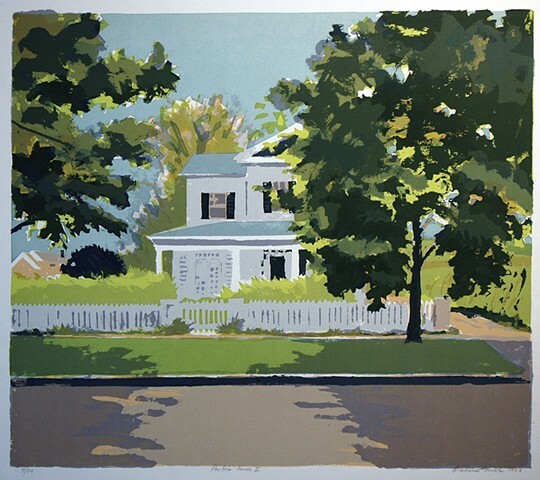 Fairfield Porter's House on Main Street, Southampton, NY. Three variants of this image exist, all produced as a demonstration of different screen printing techniques (paper stencil, tusche and glue, direct photo) for students at the Pratt Graphics Center in New York.